It’s easy to see why Iceland has become so popular in recent years. Fueled by movies, TV shows and Instagram, people have flocked to see it’s beauty. What once was a quiet island is now facing some over-tourism issues. It’s popularity doesn’t seem to be going anywhere soon. If you are one of those people wanting to visit, no doubt you’ve read that it can be quite expensive. Just how expensive is it? How much money do you really need for Iceland? I decided to find out. I had been wanting to visit Iceland for awhile. Five years ago I had suggested a trip to my family for a special occasion. They just laughed. No one was really going to Iceland in 2013. Enter the low cost carriers and airlines that made it easy to stopover or layover in Iceland and things just kind of took off. Those low cost carriers never flew to Iceland from Atlanta, so knowing I was going to be in New York for a conference, I decided to book a ticket from Newark, NJ to Reykjavik on WOW. Flights from the northeastern area of the states to Europe generally tend to be more affordable. My goal was to see how much it would cost for a four day trip. 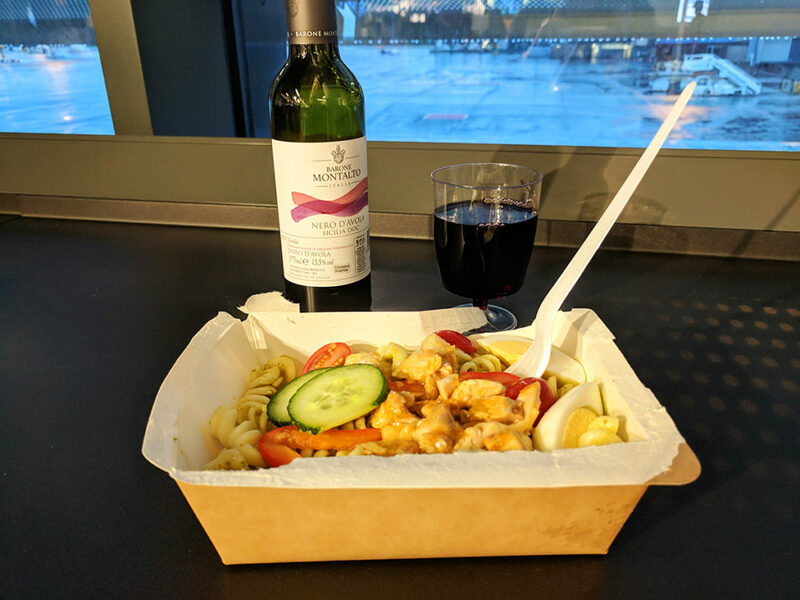 I wanted to travel comfortably, see as much as I could but still save some money where possible, without feeling too restricted. Cutting back on a few things would allow me to cover the cost of the more expensive items (gas and food) and save a little. We all know money saved equals more travel, right? So how much money did I need? Keep reading! Updated April 2019: WOW Airlines has ceased operation and has cancelled all flights. 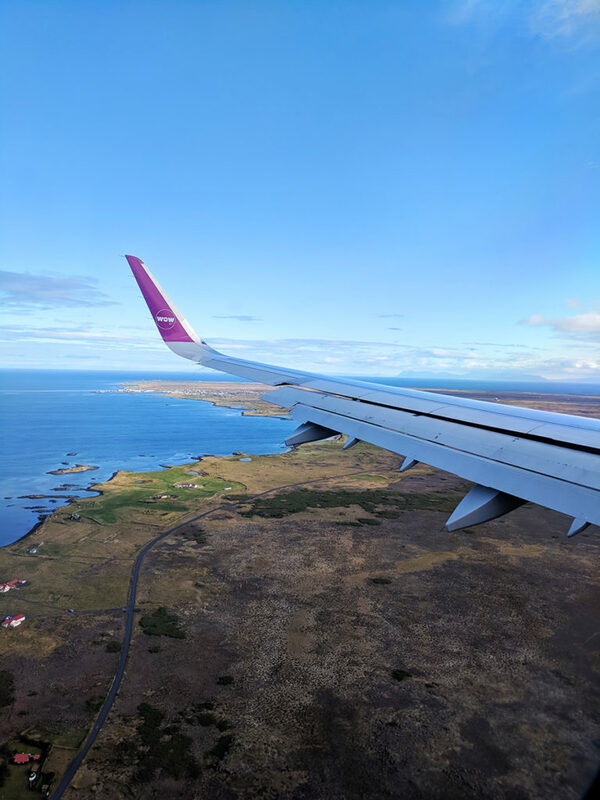 As I mentioned, I flew to Iceland on WOW Air from Newark, NJ (EWR). WOW was a Icelandic low cost carrier that has now ceased operation and has cancelled all flights There is no visa required for US citizens. One of the other things that helped me save money was going in September which is what’s called the shoulder season. This is the time period between high season: May- August and low season: October-March. I purchased my ticket online directly from WOW. Like many low cost carriers, they charge separately for carry-ons and checked baggage, and allow one personal item. Since I didn’t need much for four days, I decided to carry a backpack. At first, I was going to try and see if it would pass for a personal item but after reading other experiences I decided to go ahead and pay online for carry on. The fee is cheaper if you pay ahead of time. $49.99 USD as opposed to $69.99 USD at the airport. If you are still unsure, once at the airport, there is a stand that you can put your bag in to determine what category it is. If you didn’t pay the baggage fee online, most airlines still offer a cheaper option to pay before you go through security. Just don’t wait till you get to the gate and have to pay because you were trying to carry your big bag on! My backpack would have never been considered a personal item so I was pleased that I had paid in advance and at least saved $20. There is also be a fee for choosing your seat. However, unlike some other carriers, the cost is pretty affordable. Personally, I don’t mind seating near the middle or back of the plane but I do prefer a window seat so I paid the fee of $7.99. The closer to the front, the more it’s going to cost you. The plane was configured with three seats on either side of the aisle. In picking my seat, my strategy was to choose a window seat near the rear that already had the aisle seat taken and hope no one would be assigned to the middle seat. That strategy paid off on the flight over. The middle seat remained empty and I could stretch out a little more. I was able to sleep almost the entire flight. The seats don’t recline much but the legroom I felt was comparable to any other coach layout. Southerner Says: WOW offers an XL and XXL seat. Both recline more and the XXL is wider as well and it is a two two seat configuration. I received an offer last minute to save fifty percent on the XXL but since I was trying to travel on a budget I decided to pass. WOW also provides two charging outlets per row. That means with three people you will have to share but having this option on a flight with no free entertainment is a huge bonus. You can load up your phone and watch shows all night. There is no complementary food or drink but they do have food available for purchase. Since I had bought water (because I forgot my water bottle at home) a protein bar and some nuts at the airport, I didn’t even look at what they offered. Next time I will carry my own snacks. $20 USD for some food that should have cost a quarter of that is a budget buster. In researching Iceland, I saw that WOW has a lot of complaints online. However, my experience was good. I checked in online and received my boarding pass on their mobile app. Boarding went smoothly. They board by rows, not sections or groups. There was plenty of overhead bin space. The flight was smooth and I arrived on time, both legs of the trip. In fact we arrived in Iceland about fifty minutes early. Since I had no checked luggage I was in and out of the airport quickly. Rental Car: After I booked my ticket, I began to research tour options. At first, I had not even considered driving myself around. Even though the tours I looked at were very reasonably priced and smaller, I’m a road tripper. 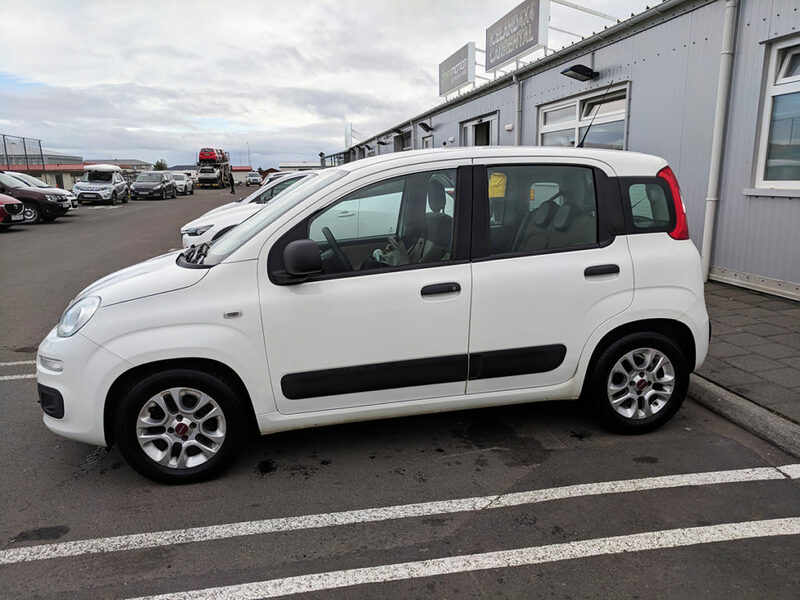 So when I got an email from WOW with special rental car offers for customers who had purchased a ticket with them AND found out you don’t need an international driver’s license, I immediately booked a small four door Fiat through Green Motion. Green Motion’s office is located a couple of kilometers from the airport. Staff will meet you in front of the airport with signage and take you there in a shuttle. Once there, I did have to wait a while to get my car since they were very busy that morning. The comfy couches and the free lattes made waiting a little easier. To save money on a rental, plan your trip for the spring or fall, which is when I went. There shouldn’t be bad weather that requires a four wheel drive which costs more. I had no issues getting around in my Fiat in rain and there was a bit of sleet. If I was going in the winter I would definitely rent a four wheel drive. Southerner Says: A lot of the small cars in Iceland have manual transmissions. If you don’t know how to drive a manual make sure your vehicle is an automatic when you book it. There were a couple of people there that most clearly did not know how to drive a manual but that’s all that was available. Insurance: I spent more on insurance because I decided to play it safe and purchase insurance the agency offered. Why? Iceland is a very windy country. Damage due to blowing sand and ash, yes that’s a thing, isn’t covered by ordinary insurance. Neither was broken headlights, broken windshields, damage to the undercarriage and tire damage. 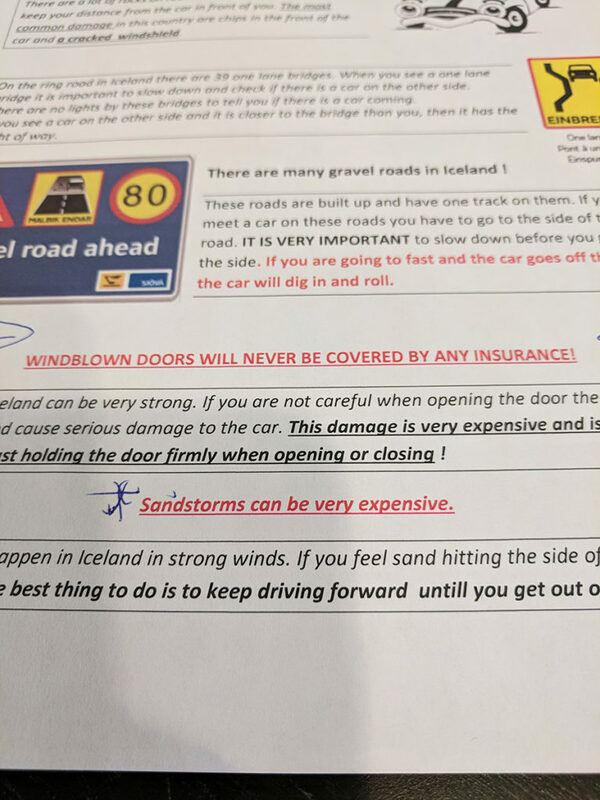 I was concerned that the coverage through my credit card might not pay either so I ended up purchasing a policy that included everything except, doors blown off by the wind, which is just not covered period! In this case, my peace of mind was the more important than my wallet. Next time I’ll check with my credit card company ahead of time to verify what’s covered but I’ve read of other experiences that said their credit card would not cover such extreme and unusual damage if it occurred. Gas: Gas in Iceland is priced per liter. So if you are coming from the states, the first time you look at the sign you might not think it’s too expensive. Then you realize the price is per liter. The gas for the Fiat was $233.3 Iceland Krona per liter. That’s about $2.11 USD. There are 3.785 liters in a gallon so you are looking at about $7.50 USD per gallon. I calculate I would have spent at least $300 USD on basic tours. Considering I was able to see whatever I wanted or skip it if I didn’t want to see it, is invaluable. I could also stay for as long or as little as I liked. This really maximized my short time there. Another good thing about renting a vehicle is I was able to drive myself to and from the airport. Even though you are flying to Reykjavik (KEF), the international airport is actually located in Keflavik. It’s fifty one kilometers or about forty five minutes from Reykjavik, where most people are probably staying, at least for the first night. If you didn’t have a car, your options would be to ride a bus, which is time consuming and costs about $50 USD round trip, or take a taxi or private hire which would be even more expensive. At the time of writing there is no Uber or Lyft in Iceland. For four days that’s a little over a $100 USD a day. It wasn’t cheap, but it’s not the most I’ve ever paid either. I paid over $100 USD a day, for a car in Boston last summer. That didn’t even count gas. Southerner Says: Keep a check on your gas tank. Places to gas up outside of Reykjavik are fewer and farther between. In Vik there is only one gas station. There was quite a line and a really pissed off British guy. Another option to cut expenses, especially if you are traveling alone, is to stay in a hostel. There are quite a few to choose from in Reykjavik. In researching hostels, I considered location and cost. I also knew I wanted to stay in an all female room. After reading a lot of reviews, I chose B14 Hostel. 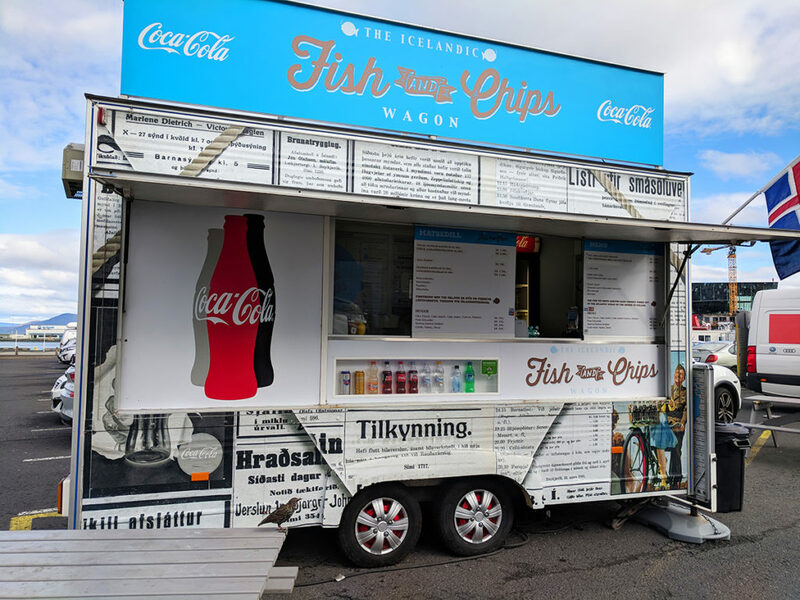 They are conveniently located in Reykjavik but not right in the city center. 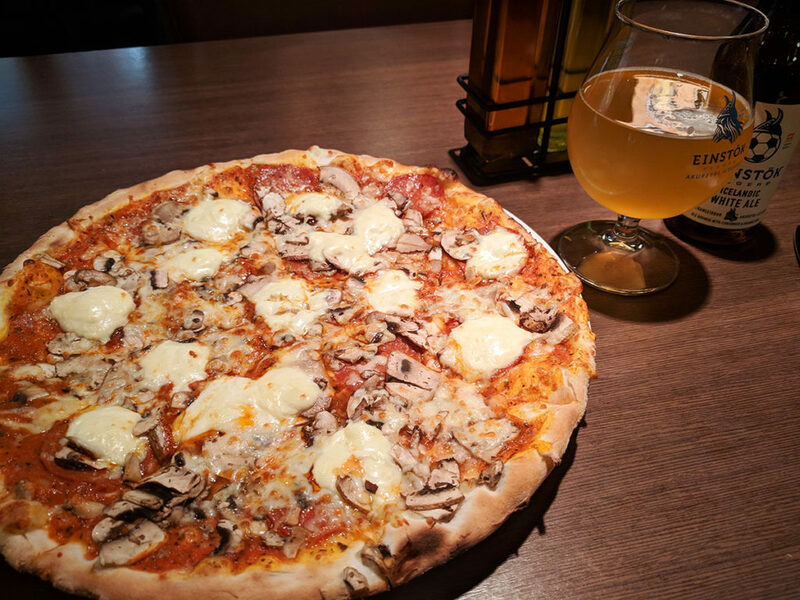 It turned out to be a great choice not only because there were restaurants and coffee shops nearby but it made heading out of the city on the freeway easier. Another bonus was easily accessible and free parking. Like most hostels, the beds they provide are bunk beds but they had curtains on each one that you could close for privacy. There were eight beds in the room I was in. Each bed was outfitted with a small light and shelf. Bins and hooks were available for your belongings. The only drawback was there were no lockers. B14 was super clean. There was a host on site all the time, huge common areas and a kitchen. I could have saved more money if I had bought food and cooked dinner. The price also included breakfast, which was cereal. I realize a bunk bed isn’t for everyone but honestly, I was hardly ever there. I was so busy, I really only was there to sleep. They do have some private rooms and if I returned with family or friends I would definitely look into staying there again. If you really want to save money while in Iceland, don’t eat. Just kidding! There are plenty of affordable options. I also found that no matter where you bought food, the quality was really good. As soon as I arrived and got my car, I headed off to find a Bonus grocery store. In the states I would compare it to Aldi’s. 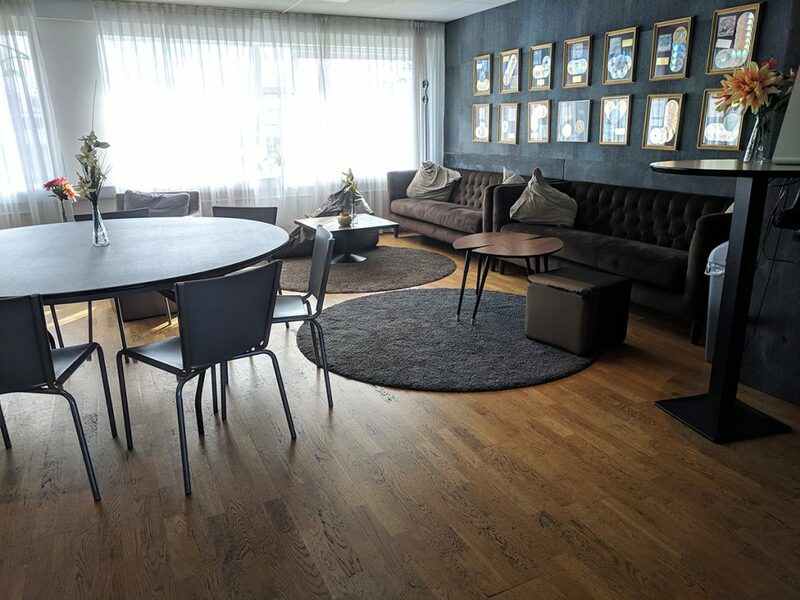 There is one located about five kilometers from the airport on route 41 that goes to Reykjavik. I didn’t have a cooler with me but would definitely take one next time. At Bonus, I bought a sandwich, some chocolate and water, because as I mentioned, I forgot my refillable bottle. The sandwich was a pre-made sandwich that in the states I wouldn’t even consider buying, but it looked good, (it was), it was cheap and I was ready to get on the road. Lunch, water for the entire trip and that chocolate cost me $12 USD. I spent about $18 USD the next day on meat, cheese, crackers, chips and yes more chocolate, don’t judge me, for two days worth of lunch and snacks. This was the easiest thing to do since I didn’t want to keep stopping and things cost a bit more out of Reykjavik. Southerner Says: The chocolate is so good! You can pick some up at Duty Free when you leave for a pretty good price. It makes a good gift or you can just eat it all yourself. There was a vegan, organic coffee shop called Glo, below the hostel so the next two mornings I had a coffee and pastry. Thankfully coffee is not expensive and really really good. Then I would eat my snacks/lunch on the road during the day. At night I would try for a nicer, sit down meal for dinner. 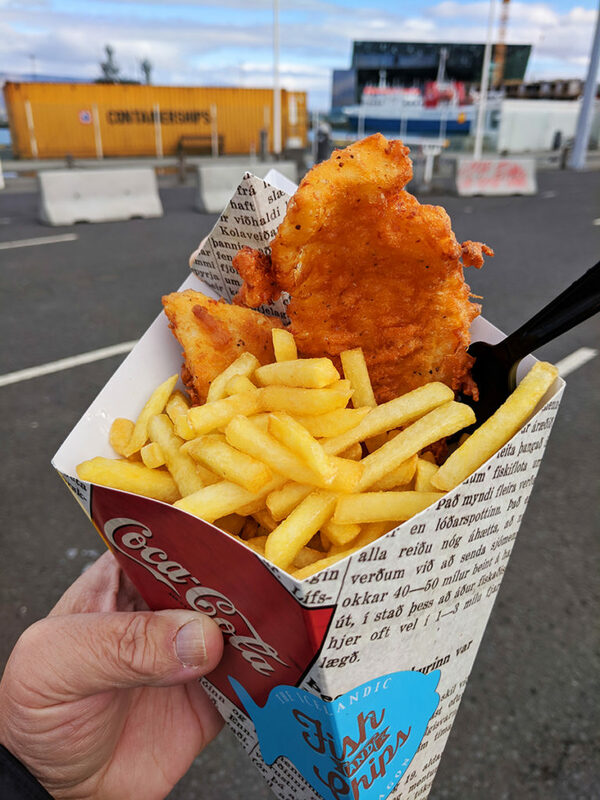 On a side-note, you absolutely cannot go to Iceland and not try Fish and Chips. On my last day when I explored Reykjavik, I found a cute stand in the old harbor area. Served with fries and your choice of homemade dipping sauces they were delicious. The cost was $19 USD without a drink. Every meal I had was good. Even the burrito, that I don’t have a photo of, was way better than something, for example, purchased from a truck stop in the US. 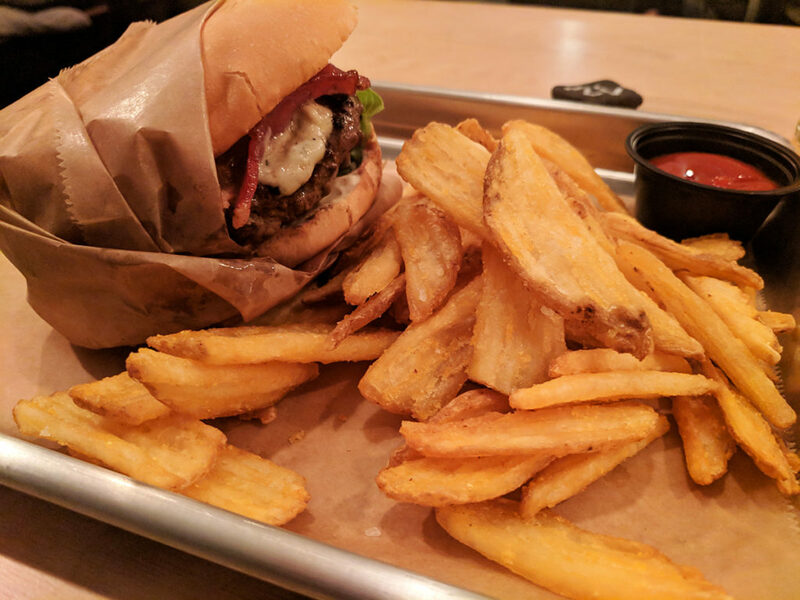 The best thing I ate was the blue cheese burger in Vik, from the Brewpub. It was a really good burger and I loved the beer too. I would definitely go back there if I was in Vik again. All in all, I feel like I ate well. The four days I was there I spent less than $200 USD on food from the store and meals. Fifty dollars a day isn’t cheap by US standards but it’s comparable to some place like London or New York City. I also don’t feel like I sacrificed anything. Yes they weren’t gourmet restaurants but I don’t usually eat at places like that anyway. If you were on a tight budget, simply cut the alcohol. On average, a beer costs about $10 USD. When I made the decision to rent a car, I decided I wouldn’t do any paid tours. What’s the point in renting a car if you are going to pay someone else to carry you around, right? I already had an idea of what I wanted to see and do and I got to do just about everything I felt would be good for a first time to Iceland. Briefly, here’s what I did. I drove the entire Golden Circle plus some using the suggestions from Iheartreykjavik.net, which is a great resource. I drove the Southern Section of the ring road to Jokulsarlon or the Glacier Lagoon, spent time on the Reykjanes Peninsula and explored Reykjavik. The best part was everything was free. I didn’t have to pay any fees at the National Parks. I didn’t even have to pay to park on the Golden Circle even though I had read of others having to pay. The only thing I didn’t get to do that I wanted to was actually get in some hot springs. I went to the Blue Lagoon, walked around and took photos. Yes, you can do that without paying. I had every intention of going back later but ended up staying out and watching the Northern Lights when I returned from Vik. Worth it? I think so. There’s always next time for hot springs but you might not see the Auroras. All in all, if you total everything up, I ended up spending a little more than $1000 USD. Is that expensive? I’ll leave it to you to decide whether you think so or not. Iceland is insanely beautiful and in my opinion, worth every penny. I would spend that again to go tomorrow. Now you know how exactly how much money you need for Iceland. Leave me a comment and tell me how much money you spent in Iceland and your money saving tips. Sharing is caring! Pin it here. Thank you for your comment. Yes I did stay there the entire time. It’s a nice place and a good location for hopping on the roads out of the city. I was there for 4 days but had time to go to Jokulsarlon and Diamond Beach. It was so beautiful! I’m working on a post with my itinerary. I hope to have it on the blog soon.